You Are Here: Home > How Long Does an Oil Change Take? In general, an oil change at SJ Denham Chrysler Jeep Dodge Ram takes less than an hour. Oil changes are a routine maintenance procedure, and we work to get you in and out as quick as possible. Of course, the time will vary based on how busy our service department is — so get in touch with us for an idea of our current wait times for an oil change. How Long Does a DIY Oil Change Take? Keep in mind that it often both takes less time and costs less to take your vehicle into a service center in Mount Shasta for a synthetic or conventional oil changes. It’s also far less of a headache to let us handle it for you. With an experienced service team and modern equipment, we’re able to simultaneously work on more cars than a generic auto shop. We frequently offer oil change coupons and other discounts on routine vehicle maintenance. The common rule of thumb used to be that you should get an oil change every 3,000 miles. However, with more modern and efficient vehicles, you should schedule an oil change at every 5,000 – 7,500 miles. Some models can even go up to 10,000 miles between oil changes. Consult your owner’s manual for the oil change interval you should follow for your vehicle. Does My Car Take Synthetic or Conventional Oil? Check with your owner’s manual to see if your vehicle requires synthetic or conventional oil. Although synthetic oil typically costs more, this won’t change the time required between oil changes on your vehicle. Located just a short trip from Yreka, our qualified service team can handle any maintenance tasks — from oil changes to brake repairs. Call us at 530-926-4817 for more information, or stop in for an inspection today. SJ Denham Tire Center provides tires for All Makes and All Models of Vehicles! We provide with most tire purchases – Road Hazard, Free Rotations, Free Re-Balancing and more! We carry over 20 brands of tires including Goodyear, Kelley, Cooper, Toyo, Michelin, BF Goodrich, General, Firestone, Continental, and more! Other Restrictions may apply. Void where prohibited. 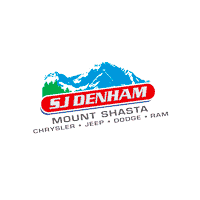 Check Engine Light Diagnosis at SJ Denham in Redding! SJ Denham your 3rd Generation Family Owned and Operated Dealer has ASE Certified Techs that can diagnose and repair all makes and all models of vehicles! Toyota, Honda, Kia, Hyundai, Ford, Chevrolet, Buick, Subaru, Mazda, and more! See SJ Denham Chrysler Jeep & Tire Center for details. No expiration date on this offer.